Having trouble with the original strainer cover warping when over-torquing the M6 nuts and there by being prone to oil leaks? Or, in the case of pricey billet aluminum after market strainer covers, do you suffer from oil leakage due to cracks caused by the rear bottom end of your car impacting with the ground while mounting sloping side-walks, driveways, or ramps? In any case, you may be victim to costly engine repair work. Our solution is very simple. We have found that stainless steel possesses two very important traits:Strength and flexibility. Strength to the extent that even if you over-torque the screws, the plate will not warp. Flexibility to the extent that should the rear bottom section of your car impact with ground, the plate will not crack. 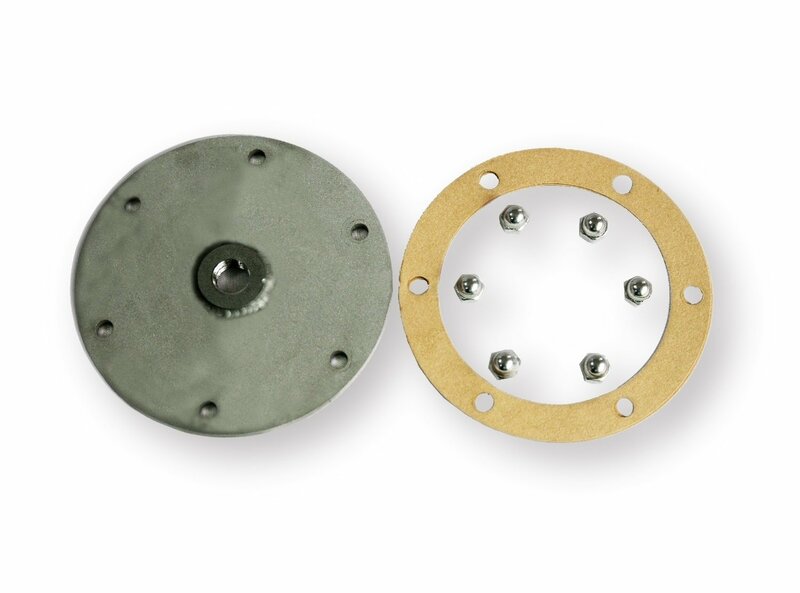 Includes one 4mm thick sand blasted strainer cover, gasket(2), and stainless steel nuts(6). Be pro-active! Purchase one for yourself or another bug fanatic. Oil Strainer Cover for aircooled vw Type 1 engine.